Did you do the troubleshooting explained in my first post of this thread? Please do and double check. All possible reasons are outlined in that post. I tried your sequence listed above and even after changing the Exposure 2012 Value, I'm still seeing no keyframes. I've been setting them manually. I no I'm probably doing something wrong but, would appreciate some more assistance. So the Exposure value travels from LRTimelapse to Lightroom, but the Keyframes (Stars) not? Please double check if you have any filter set in Lightroom. If in doubt, clear any filters. Make sure to have set Lightroom to display the stars in the grid view. Gunther, I can't seem to get the keyframes to load in to Lightroom. I've tried the trouble shooting to see if the metadata is loading and it is not. After I have adjusted the exposure value to '1.0' in the first frame and to '2.0' in the last frame and from there go to Lightroom, there are no keyframes (****) on either frame. Please help. Hi David, I'm afraid all I can tell you is explained at the beginning of this thread. This is already the troubleshooting guide. Everything else is just guessing . Maybe you have set your filters to hide stars, maybe your lightroom is set to not show stars etc. Please go through the trouble shooting again. If you do everything right, the changes in LRT should migrate to Lightroom. Hi Gunther - I had this issue with metadata synchronization once before after either an Adobe or Mac OSX update (can't remember now). The fix that time had to do with an Adobe preset location. The presets seem ok this time, but LRT isn't updating the metadata for Lightroom and the keyframes do not get read by Lightroom. If I manually enter a keyframe in Lightroom, save the metadata and then reload into LRT, the keyframe appears. I used your updated troubleshooting guide in this thread, however I can't find where to check the process version in LRT. 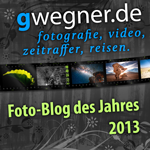 Lightroom is "version 5". The error occurs at point 8 - where Lightroom doesn't see the keyframes. Sorry, process version doesn't matter anymore with LRT5, it will always be fine. I've removed that point from the trouble shooting guide. Just go on, try the manual trouble shooting below, if you can't find the problem. Thanks Gunther. Appears as though Adobe DNG converter may be the problem. Normally I import CS2 RAW from SD card into Lightroom and convert to DNG during the import so that LRTimelapse works with DNG's. I went through the troubleshooting walkthrough two more times (loading the images fresh from the SD card) and still no meta transfer from LRT to LR. I then downloaded the CR2's from the card and did NOT do the DNG conversion. 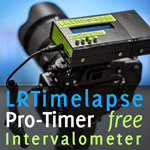 LRTimelapse initialized in about a tenth of the time and metadata transfers to and from LRT/LR perfectly - as it used to before today. Very strange. I wonder if the latest DNG converter update from Adobe is causing some conflicts? 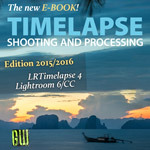 Hi David, hard to say, why it's not working with the DNG files, but I'd recommend to always work with the original raws with LRTimelapse because this will be much faster. LRTimelapse 5.x Compatible with macOS 10.14 Mojave? Mac: Provide more Memory to LRTimelapse!